Auto as well as manual operation possible. 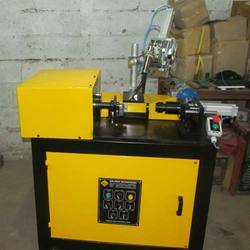 It is sauitable to weld by single power source & two wire feeder. Ieal for Light & Heavy Duty Fabrication. Best suited for solid and flux cored wires. Special features provided for Aluminium, Stainless Steel welding. Smooth and Spatter Free ARC Transfer - Adjustable Creep Speed for perfect arc atart. Specially Designed Transformer - Copper wound which ensures minimum Power consumption. 2 stroke / 4 stroke selection by switch. 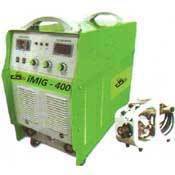 Digital pulse MIG welder AMIG350PM is a multi-purpose welder with excellent performance for welding carbon steel, stainless steel, aluminum, Al-Mg alloy and Al-Si alloy, can process CO2, MAG, MMA, Simple TIG, Pulse MIG and Double pulse MIG.